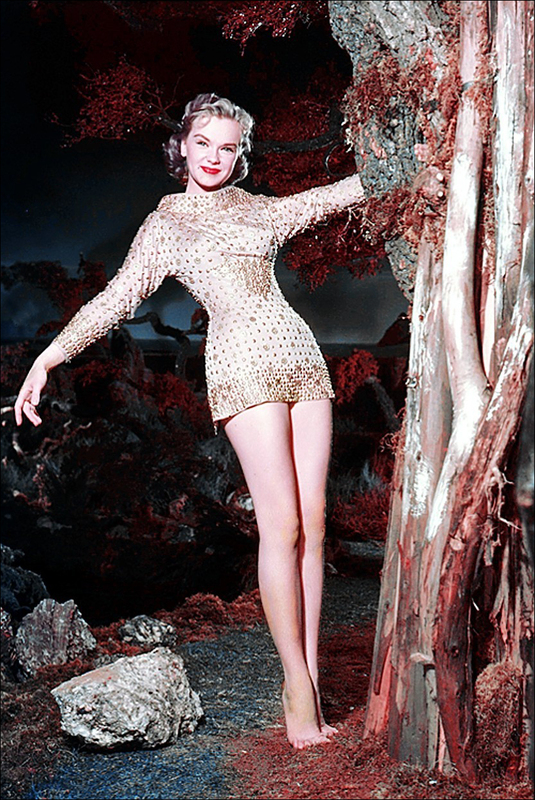 This ornate golden tan short dress was worn by Anne Francis as Altaira in Forbidden Planet. Created of silk and literally festooned with bronze and gold medallions, this signature dress is seen in the memorable sequence when Altaira travels aboard the “space buggy” with Robby greeting the crewmen from the ship. 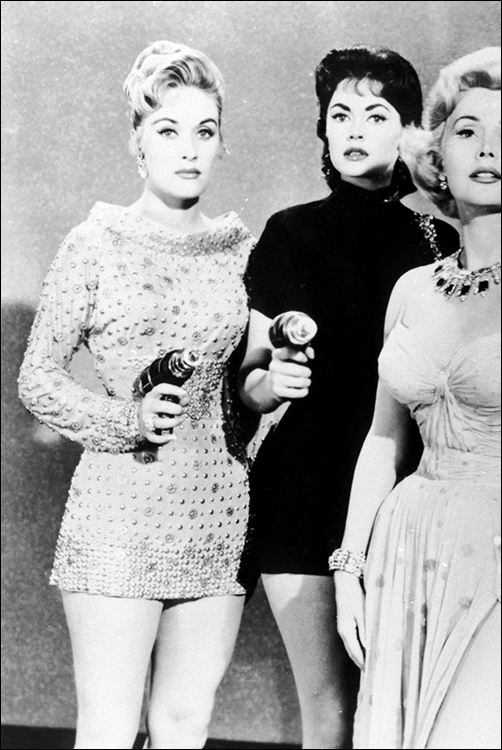 This is arguably the most iconic piece of female wardrobe in science fiction (with the possible exception of Princess Leia from Star Wars). The inner lining of the Helen Rose-designed wardrobe features an internal bias label handwritten, “Anne Francis 1671-4440”. The costume exhibits some fabric tears due to the fragile nature of the sheer material, but remains in remarkable condition considering its age. One of the most important Sci-Fi costumes to appear at public auction.